The 10 Best Noodle Places in Alabama! Noodle soups are one of the most popular Asian dishes in Alabama, and for good reason: they’re filling, flavorful, and won’t break the bank. These amazing soups are about as varied as they come, offering you different options for noodles, vegetables, and meats that are sure to please. These 10 Asian restaurants are dishing out tasty noodle soups that look every bit as good as they taste. Their beef noodle soups take up a large portion of their menu and are one of the most talked-about items. From spicy steak and meatball to seafood to brisket, you get fresh flavor combined with fast service. Fans love their drive thru window, which makes it convenient to pick up your to go orders. The outward appearance alone should tell you that greatness lives inside. The home-style digs are welcoming and inviting to create an atmosphere where you’ll want to sit and stay awhile. On the menu are Kuai Tiaw noodle dishes that taste like they came straight from Thailand. 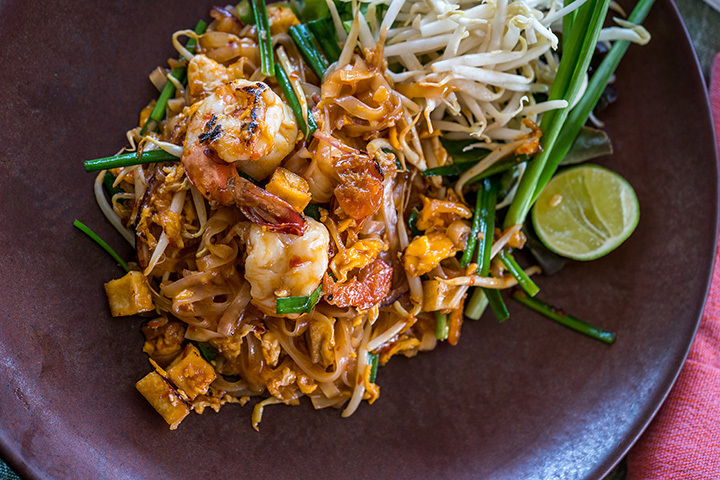 Various noodle options include traditional Pad Thai, spinach noodles, egg noodles, and lo mein, each one masterfully paired with meats and veggies for an amazing meal you won’t soon forget. Also known as the hottest Vietnamese restaurant in Bham, you can expect all the traditional meals under one roof. The Pho noodle soups are a standout though, thanks to secret family recipes and huge portions. In addition to their Pho, they also offer vermicelli noodle dishes that are simply divine, served with lettuce, peanuts, cucumber, cilantro, and a variety of meats and seasonings. This cozy Thai cafe has no shortage of tasty options. Fans love coming here because the kitchen staff is helpful when customizing your meal, especially if you have vegan or vegetarian preferences. It’s tucked away in a little shopping center, but it’s well worth the hunt if you’re craving a unique experience. They might have sushi in their name, but their fabulous noodle dishes aren’t to be missed. You can take your pick of traditional, udon or angel hair, then pair it with veggies, chicken, beef, or shrimp. Service is prompt, making it great stop for a workday lunch or quick dinner. This chic upscale Asian eatery is vibrant and sleek, but more importantly it’s serving up some of the best Pan-Asian food in the city. Their noodle bowls are generous, and some claim they have plenty left over for another meal later. You can add your choice of meats to any noodle bowl to make it your own, including chicken, beef, pork belly, shrimp, or tofu. Diners love coming to Naruto because they get their money’s worth, and then some. This authentic Korean restaurant is big on quality and low on cost so there’s no way you’re walking away hungry. There’s a lot to choose from on the menu, so you can expect something different and satisfying with every visit. This Vietnamese restaurant is a hidden gem in Madison’s dining scene. They source fresh vegetable and herbs to give every dish the best flavor and quality. You’ve also got your pick of different sizes of noodle soups so you can suit your appetite and your budget at the same time. Sushi isn’t the only thing they get right - they’re also highly skilled in delicious ramen and other niche items. Their customers love coming here for the fast service and budget-friendly prices. You’ll want to finish your noodle dish with one of their tasty red bean or green tea ice creams. This traditional Japanese restaurant has an impressive noodle menu that’s fit for any appetite. They make their wheat noodles by hand, something you won’t find anywhere else in town. Get ‘em hot or cold, combined with your favorite meats and veggies for a taste of Japan that’s close to home.